Experience historic US Army attractions in Washington, DC, on this 6-hour private tour. With your 20-year Veteran professional guide, begin your tour at the Pentagon. Visit Fort McNair, the Horse and Caisson Unit at Fort Myer, and Arlington Cemetery. Enjoy round-trip transportation and lunch (if desired) at either the Fort McNair or the Fort Myer Officer's Club on this direct access private tour. Led by a 20-year Navy Veteran, you will experience the fascinating history of the United States Army in and around Washington. Begin at the Pentagon, the nation's five-sided center of military operations. Next, visit Fort McNair and the Industrial College of Armed Forces, responsible for educating military officers in national security. 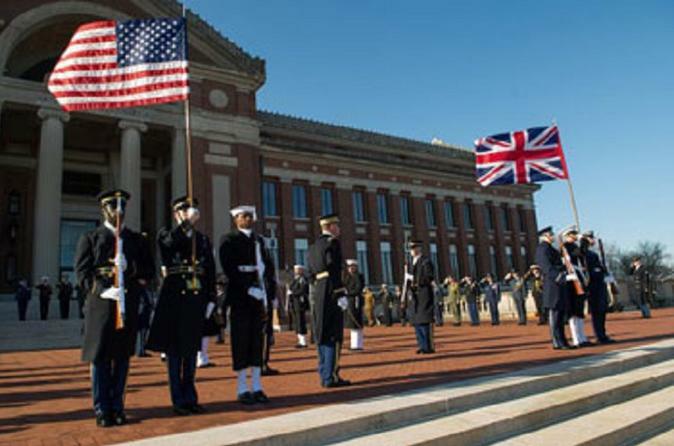 See the home of the famous infantry "Old Guard." End your tour and honor the fallen with an unforgettable tour of Arlington Cemetery. While there, visit the Tomb of the Unknown Soldier and President Kennedy's grave. Enjoy a pleasant lunch at an Officer's Club in either Fort McNair or Fort Myer if desired. This 6-hour tour includes travel time between sites, lunch, and in-depth tours of each location. March with the United States Army on this detailed and personalized guided tour.